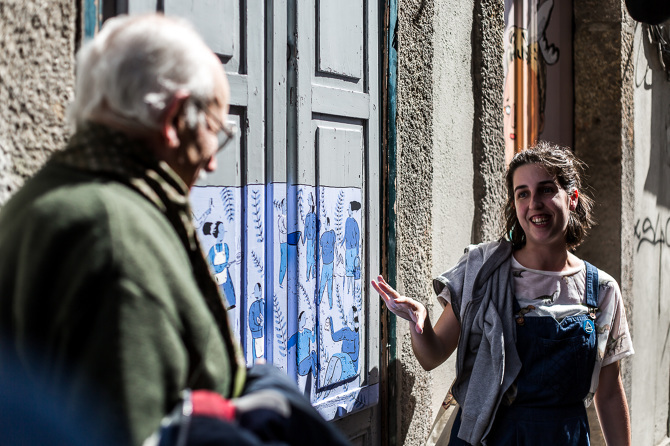 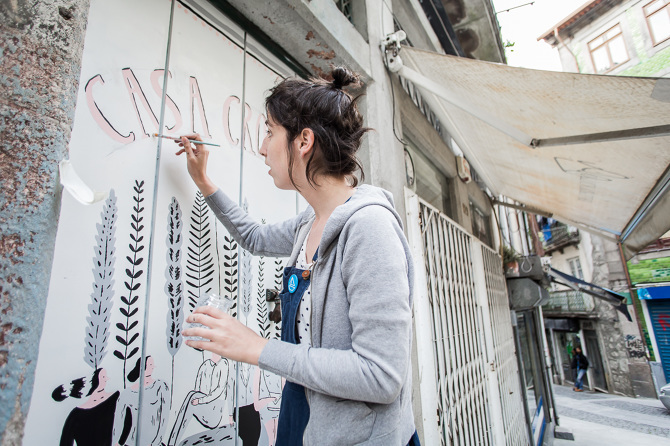 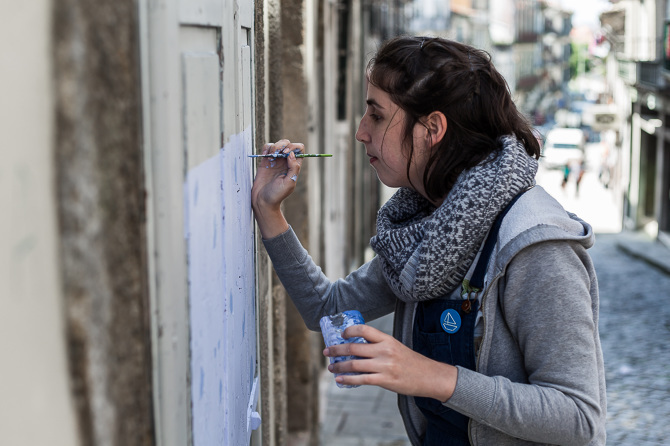 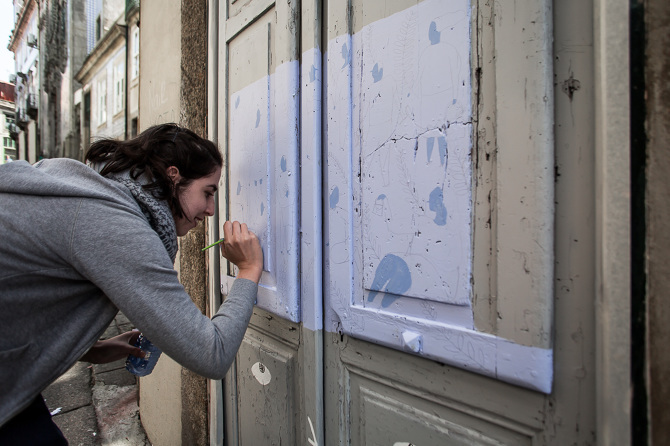 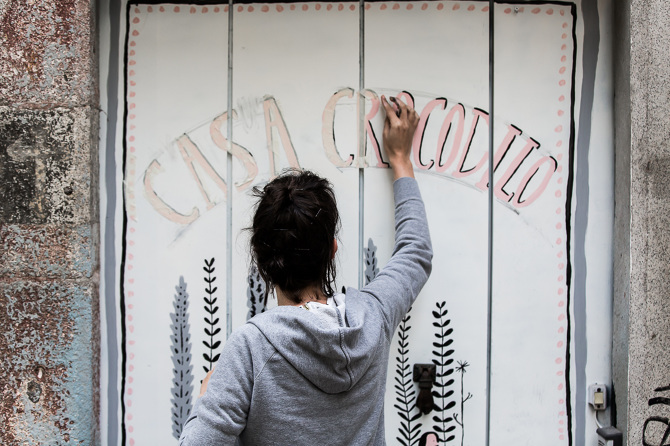 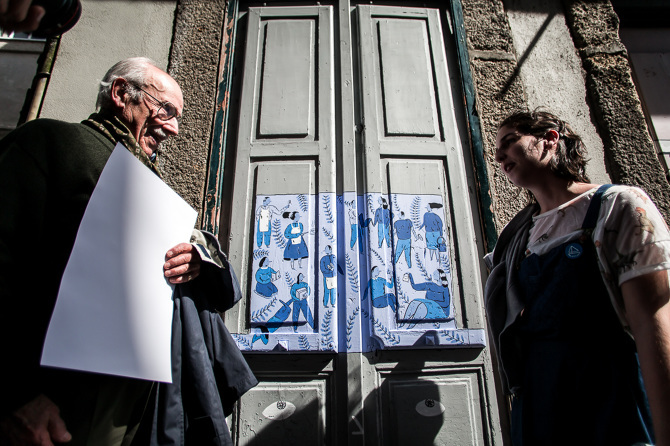 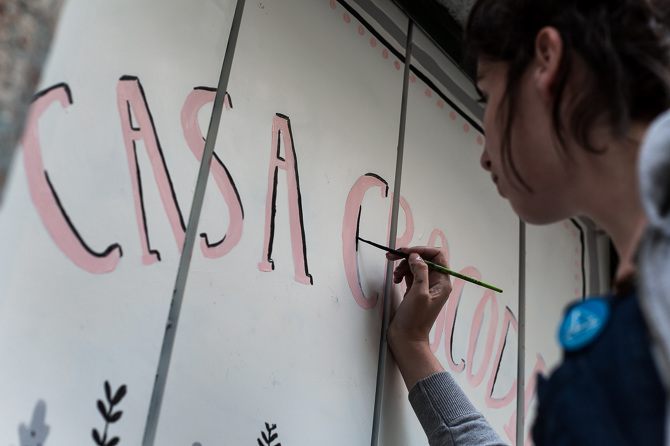 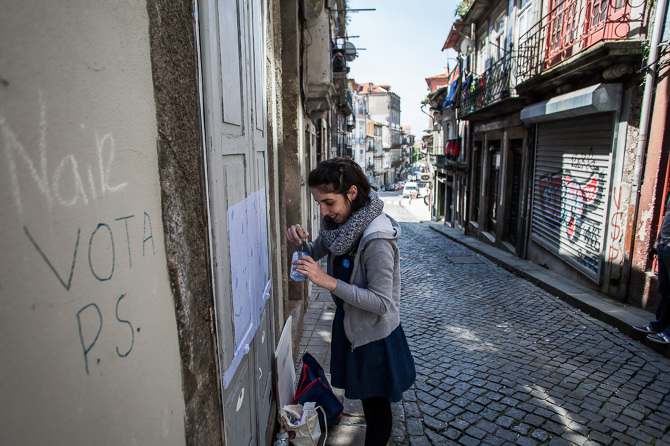 My pink and blue doors for the social/artistic project Espigar nas Gentes. 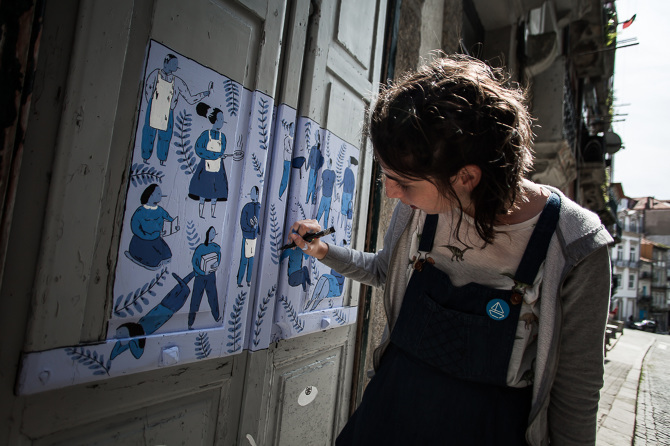 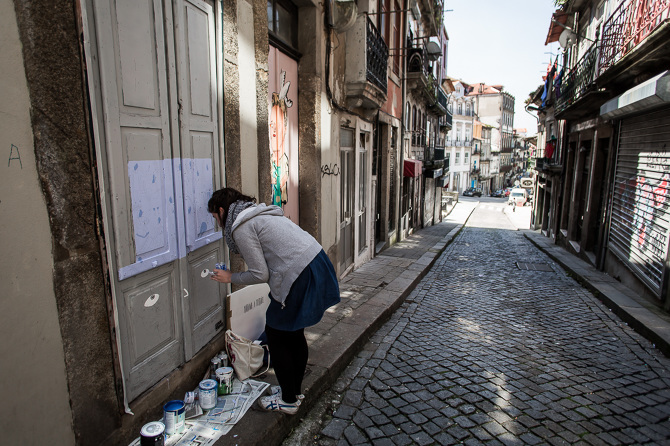 The project was to portray two people who live within the area and their relationship with these streets. 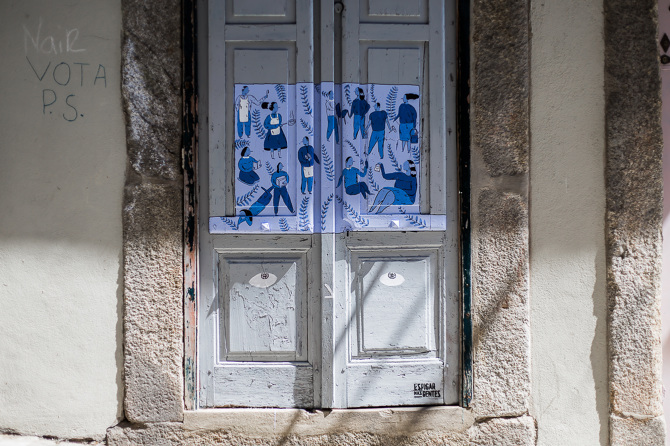 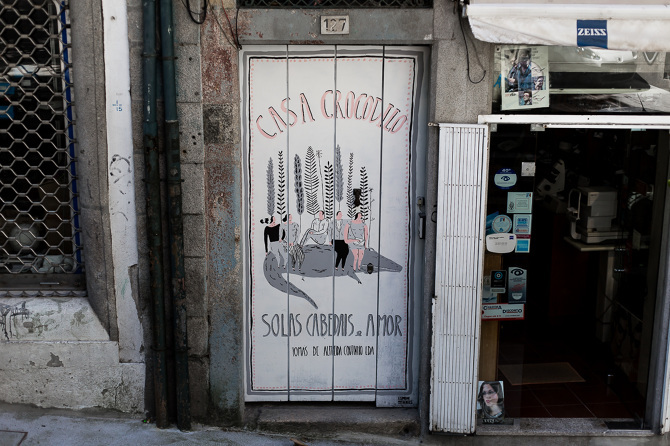 The doors are located in Rua Cimo de Vila and Rua Chã in Porto, Portugal.